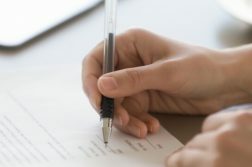 The outlook for online poker in Pennsylvania went from bleak to optimistic last week, when the PA Gaming Control Board revealed that nine of the state’s 13 eligible license holders applied for an all-inclusive iGaming certificate, spanning slots, table games, and poker. Suffice it to say, online poker will be a force in the Keystone State, and with a resident population hovering around 13 million, a rather potent one at that. Still unknown is how the market will shape up. Will it effectively mimic New Jersey or take on a totally different form? How much will legal U.S. online poker grow as a result of PA entering the market? We take our turn predicting the answers to these questions and more. 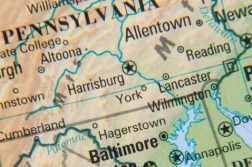 It’s become clear that at least two of the dominant forces in the current U.S. online poker landscape will have a major presence in Pennsylvania. They are PokerStars, which looks to be linked up with Mount Airy Casino, and 888, already partnered with Mount Airy and very likely to continue its relationship with Caesars via Harrah’s Philadelphia. GVC, which currently provides the platform for three networked sites in New Jersey (Borgata, PartyPoker, and playMGM), could also play a role, as it was announced years ago that the operator is in cahoots with Valley Forge Casino. That still leaves six other operators with online poker licenses. Of them, we feel the most likely to support a thriving online poker operation are SugarHouse Casino and Rivers Casino. Although the online division of these two casinos, Rush Street Interactive, has yet to lay out plans for online poker, it’s already exhibited an ability to develop strong in-house gaming products, most notably, Play SugarHouse casino in New Jersey. If anyone can start from scratch, Rush Street can. Not to mention, the operator would be uniquely positioned to capture significant market share, as its land-based casinos cover both the Philadelphia and Pittsburgh regions. 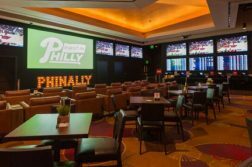 The Pennsylvania online gambling industry stands to be more of a locals market than New Jersey, with players flocking to brands that they are most familiar with. A networked online poker offering from two casinos well-known for live poker and based in the state’s two largest cities stands as good a chance as any of capturing the attention of brick & mortar loyals. After launching to much fanfare in March 2016 in New Jersey, PokerStars immediately captured the industry’s top spot, and there it reigned until May 2018. It was then that 888-branded sites, including 888 Poker and WSOP NJ, began sharing liquidity across Nevada, New Jersey, and Delaware. This, combined with an aggressive promotional and tournament schedule from WSOP, was simply too much for PokerStars to compete with, and it subsequently fell to second place in New Jersey. However, when PokerStars launches in Pennsylvania, it will likely gain some of the same advantages that WSOP currently enjoys, that is, shared liquidity with another market. While it’s not 100% certain that the existing NJ/NV/DE network will link up with PA, it would be foolhardy to pass over the opportunity. PokerStars dominated WSOP/888 before shared liquidity was a thing, and if the two are once again placed on near equal footing, it seems realistic for that scenario to unfold once again, possibly with the exception of May through July, when World Series of Poker awareness is at its annual peak. This prediction may not seem all that bold, as WSOP has already hosted several tournaments with guarantees of $500k or more this summer. But those were online bracelet events, which are much hyped and, of course, have the added allure of WSOP gold. On a regular Sunday, the network’s biggest guarantee is just $100k. Other sites, like PokerStars, only offer six-figure guarantees during special promotions, or as part of a tournament series. with $50k (or less) the standard for the site’s largest Sunday Major. Should Pennsylvania enter the interstate pact, the population reach of the U.S. online poker industry effectively doubles. So it follows that the largest Sunday Major would as well, to $200k. But we think the impact will be even more profound, as the larger population base will attract players that have yet to make the transition from live poker or black market sites because the existing potential of the legal online market was too low. With their presence, $250k weekly guarantees are definitely in the cards, with one-offs approaching a half-million. Also, PA online poker operators will be more incentivized to plug online poker than their NJ counterparts, in part due to the state’s larger population, but primarily because of the inhospitable market for PA online casino operators, which will have to fork over 54% of their slot revenue to the state. It wouldn’t be a surprise if some of those marketing dollars initially reserved for casino were allocated to online poker, taxed at just 16%. Fast-fold may not be as popular now as it was in the Full Tilt days, but it’s still a big revenue generator for the larger international sites. Unfortunately, in the legal U.S. space, it has yet to find its footing. 888-branded sites haven’t even bothered to implement it into their lobbies. More than any other cash game format, fast-fold relies on a large player pool. Without it, there can be lulls in the action, which effectively defeats the entire purpose of the game. With the addition of Pennsylvania players to the interstate compact, it’s at least plausible that the ecology will be healthy enough for fast-fold games to run across a variety of lower-to-mid stakes. Will it thrive? That’s yet to be seen. But if operators offer enough promotions that foster fast-fold play, than there’s at least a non-zero chance that games will run throughout the day. Parx Casino hosts the biggest live poker tournaments in the state, and boasts the largest poker room. So it would make perfect sense if it jumped feet first into the online poker arena, right? Unfortunately, the answer is no. Parx has been lukewarm on online gambling from the get, especially online poker, with CEO Anthony Ricci claiming that Parx’s poker room has suffered at the hands of legal online poker in New Jersey. By that logic, a Parx-branded online poker room would also cannibalize foot traffic from its hopping live poker venue. And while online gambling as a whole has proven to be a driver of traffic to brick & mortar casinos, as long as Parx remains a skeptic, it’s unlikely to go full steam ahead on an online poker vertical that hasn’t exactly proven a boon in neighboring New Jersey. By contrast, online casinos have been a boon for the Garden State, which may be why Parx has already aligned with GAN for its imminent online casino launch. Interestingly, GAN is not known for its online poker product, so while Parx has an online poker license on hand (it only cost it a mere $2 million), it seems somewhat unlikely that it will use it.